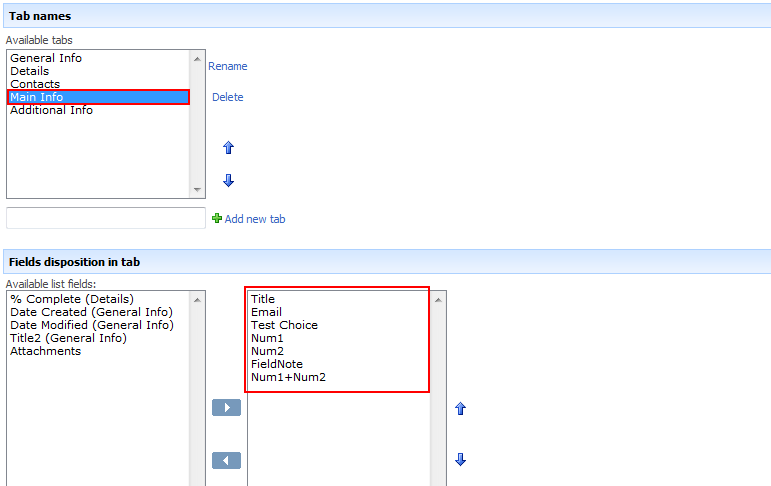 With the help of Virto List Form Extender you can divide all fields in the list among different tabs. First of all you need to add tabs you are going to use to the list settings. 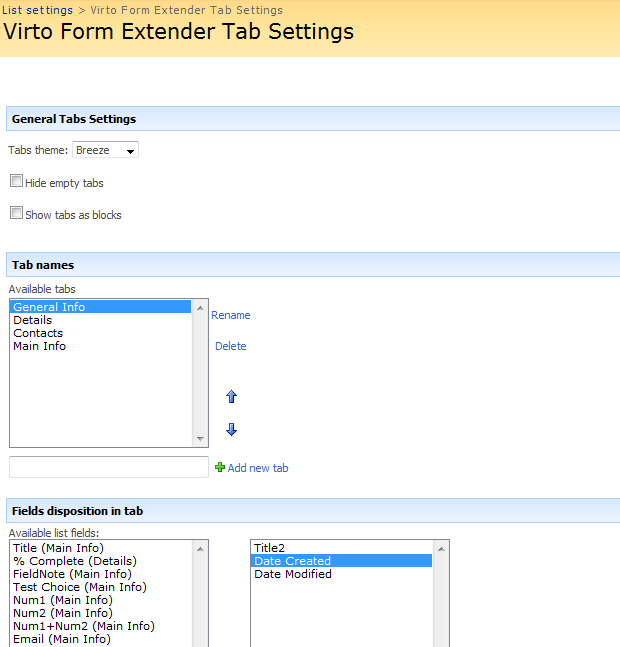 Go to Virto Form Extender Tabs Settings. 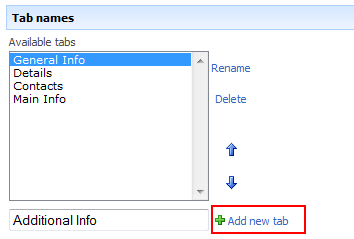 To add new tab click “Add new tab” button and type new tab name. When you switch between tabs, the list of fields within them is displayed on the right. Left column shows fields from other tabs (tabs are in the brackets). 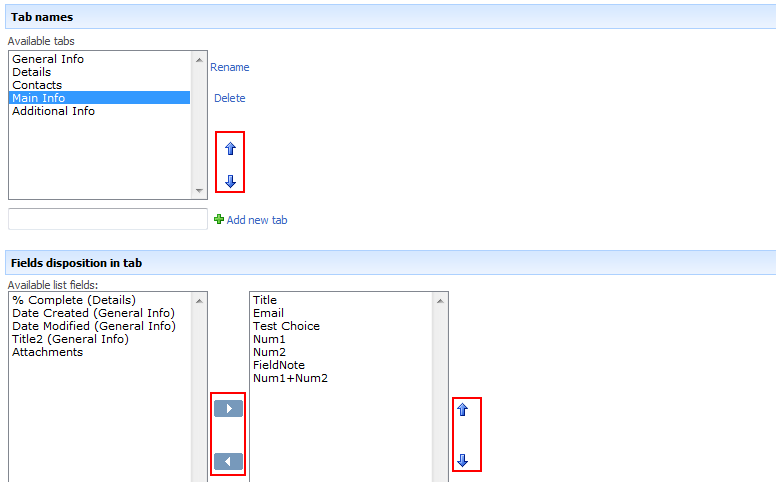 Use vertical and horizontal arrows to define order of tabs and fields within them. You can use Ctrl key to move multiple fields. You can use different tab themes, such as “Belltown”, “Breeze”, “Cardinal”, and “Citrus”. Use checkbox “Hide empty tabs” in case you don’t want empty tabs to be shown. Use “Show tabs as blocks” if you want to view list fields divided into several blocks without tabs as shown below. Now when you go to any field settings, you will be able to select required tab where this field will be displayed. If you select “None”, the field will be displayed on top. Now if you go back the list and try to view it or edit or add new Items, you will see that this field is placed into the selected tab. You can create any amount of such tabs and group fields of your list. You can enter user initials and check if this user exists, then you can add him as allowed user. Moreover, you can use custom filter and apply any conditions you want depending on field values. Note: if permission is set, field value will be not available for not allowed users even in html source (on the server side).